It will be in selected hsv dealerships, Sold by Holden but not branded or badged as such. Apparently the steering is getting converted in Australia. I would prefer it was factory RHD. It's always going to be a better ride. A car’s country of origin is defined by its structural platform, chassis and body panels, not the badge, trim, electricals or even mechanical parts. Camaro is a very good thing. If I could put pics on this forum I could show you me in Honolulu with Camaro. It will be done by HSV, until the next gen platform comes out in RHD. 80-90k for a car thats a conversion or Mustang for 50k? Yep. For those who are old enough to remember the clever contrived 'marketing' of the Falcon Cobra, and the Holden HX (not a Monaro) LS. Holden were pretty spot on about the predicted sales of the V2 Monaro, that's ignoring the huge bonus of the Pontiac GTO.. Please explain how the "HX was a lemon". There were only 600 odd made, they were never marketed as a performance car and they all sold. Today they are highly prized as the last classic 2 door Holdens and those who have them maintain them to a high standard. Wish I had one of those "lemons" in my garage. Anyhow, OK, maybe the emmissionised, emasculated 308 was not the most wonderful bit of GMH gear, but the car was stunning for its time. I looked, but that was all I could afford to do. The Cobra ? With a bit of lipstick it was a good looking pig. And today you wouldn't even think about making it into pork sausages. Don't beat yourself up about it mate. We knew what you meant. Cobra 1 -2 on the mountain, yep, was a pig. Win on Sunday, sell on Monday. Both the Cobra and the LE were just a way to get rid of excess 2 door bodies. I prefer a Goss over a Cobra, much nicer looks. Wish I had never gotten rid of my XA GS coupe. I think it's a great move by Holden/HSV. It had no other choice and should've cranked up Camaro imports back when Mustang snuck in in RHD form and stole a big slab of the market. 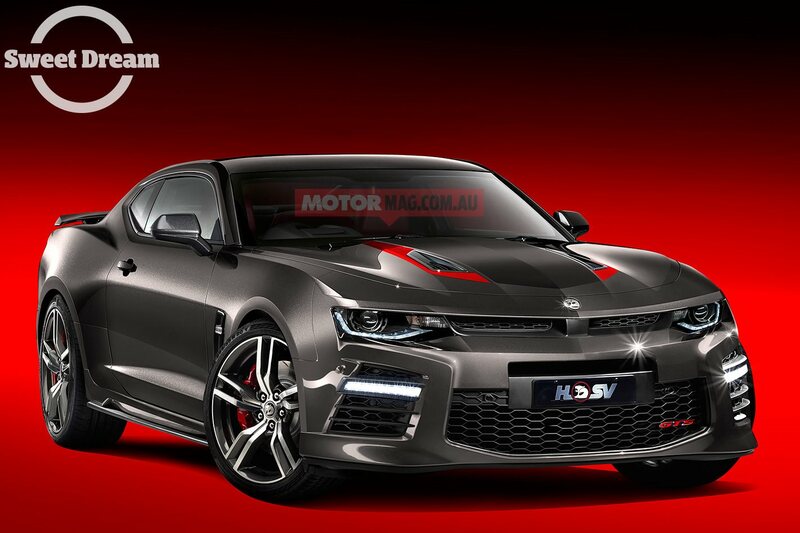 Without its core V8 product Holden needs to do anything/everything it can to stay alive and Camaro aint going to hurt that plan. I know we're all used to four-door V8 Holdens but when you haven't got that choice, it's either Camaro...or you switch to European and pay through the nose. The problem is your selling a 60K car for 90K, the math simply doesn't work. The whole point of both the Camaro and Mustang is supercar performance for working man prices. I don't really see price as a major problem. Die hard lion-badged V8 fans (or non-Ford folk generally) will buy Camaro, guaranteed. They might not sell as many Camaros as SSs or Clubsports but there will still be sales. Not mention HSV is a V8 company that simply wont exist without a V8 product. It'd die a quick death trying to hot-up Colorados. Holden (for image) and HSV both need Camaro to survive. Who knows, Camaro might even steal some Stinger sales! I'll certainly have a look when they come out. This all about Jobs for the American at the expense of Australian's. Yes our Pollies bent down and are being shafted by the yanks and this have noting to do with saving our planet. mpower and VS_Pete like this. don't be so sure, if you want to see the future of companies like HSV you only need to look at some of GM's other branches like Vauxhaul. sure they have VXR8 right now, but they sell a lot more than that. Yeah but the UK and Europe has always had an appetite for hot hatches and hot small cars, not so much Australia. HSV couldn't survive without V8s. It'll be tweaking Camaro (and Corvette?) for as long as it is allowed. Interesting to see the montage of the VXR8 flash over a HSV badge on the dash. It appears to be badged VXR but also HSV in places.